Okhla Waste-to-Energy plant- another Bhopal disaster in the making. The Okhla WtE plant was commissioned in the face of public interest litigation field by residents months before the foundation stone was laid in July 2010. Through lies and deception both in court and outside, a highly toxic industry is being run in the heart of South Delhi. 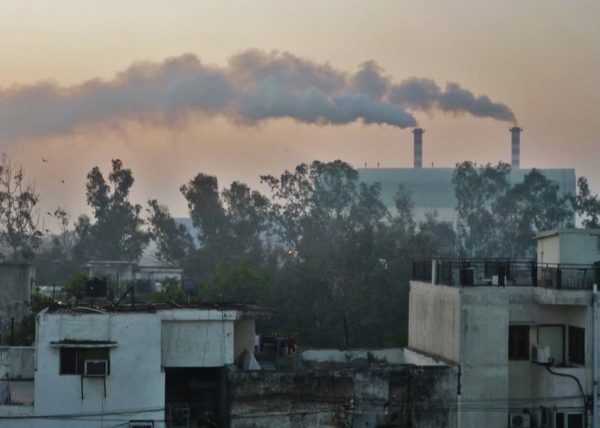 The plant burns 2,000 tonnes of unsegregated waste daily, using cheap Chinese equipment and makes profits at the cost of public health-in policies that resulted in the 1984 Bhopal disaster. Environmental clearance given for converting waste into refuse derived fuel (RDF) was switched to allow the factory to directly burn waste, endangering the lives 10 lakh people. The plant is located on a green area in Zone F7 of the Delhi Master Plan, meant for a community park. The Master Plan does not provide for WtE incinerators, anyway. 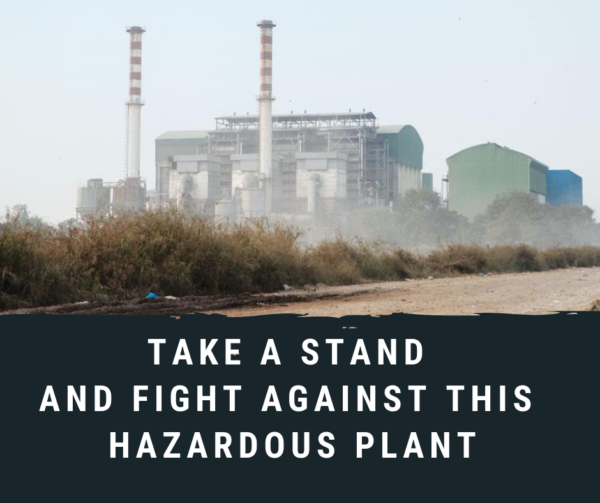 The plant occupies some 20 acres of prime land in South Delhi, the bulk of which is not covered by change-in-land-use notification as required under the DDAAct. WtE plants must be located in industrial zones and maintained a 500-meter distance from residences, according to the rules. But the Okhla WtE is just 45 meters away. World Health Organisation guidelines say that waste incinerators should be located at least one kilometer away from human habitation. This is consistent with Indian’s industrial siting norms. WtE plants are to be located close to existing landfills, but the Okhla plant is eight kilometers away from the Tughlaqabad dump, necessitating transport of toxic ash along the Mathura Road. Apart form having to put up with toxic emissions, ash, noise and odor, residents live in constant fear of the plant’s pressure boilers exploding. During periodic inspections the operator was found to have dispensed with the use of activated charcoal, necessary to filter out highly toxic dioxins and furans– and mercury. The plant burns from the NDMC area which has land and resources but does not want to deal with its own waste in NIMBY policy. instead, South Delhi residents suffer. Consequences: Doctors are reporting unusually high incidence of cancer among people living in the area, apart from asthma and breathing difficulties. Children are likely to have lower lung function and lowered IQs from breathing toxic particles. Pregnant women are advised not to live in the area as it can affect the growing fetus. 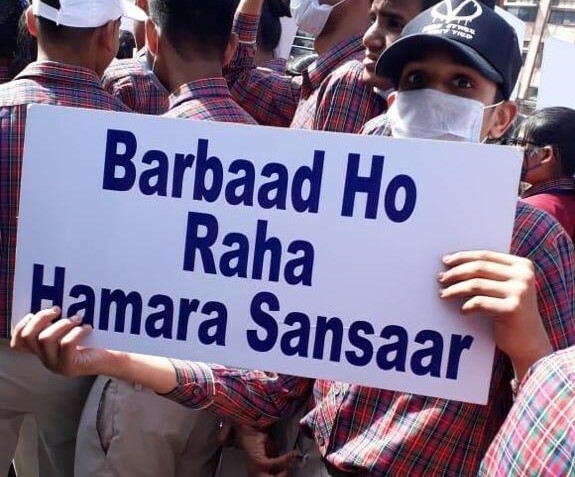 Affected Colonies: Friends Colony, Sukhdev Vihar, Ishwar Nagar, Jasola, Haji Colony, Masih Garh, Sarai Julena, Batla House, Gaffar Manzil, Johri Farms, Noor Nagar, Sarita Vihar, Kalkaji, Nehru Place. Affected Institutions: Jamia Millia Islamia, Holy Family Hospital, Fortis Escorts Hospital, Indraprastha Apollo Hospital, Al Shifa Hospital, Dev Samaj School, Don Bosco Institutions, Cheshire Homes, Bahai Temple, Institute of Genomics and Integrative Biology, Central Road Research Institute, Indian Institute of Information Technology, Jasola Sports Complex, Good Samaritan School, Jasola. Terrible what are we waiting for and what are the authorities upto seriously …. If v desire to really achieve ,v need to mobilise PUBLIC OPINION against the facility. Bring it in all national dailies. Spread it around like a wild fire. Whenever I used meet with school going children and See condition find not ok .Most of the children are feeling uneasy ,irritation,burning sensation in eyes ,breathing problems etc .Our children alway complaint about WtE and request to me for closure of the WtE plant which is just like gas chamber in our premises. I met with DPCC chairman to HELP us but in vein with zero results. SC is our hope only. S khan President RWA pkt A SUKHDEV VIHAR DDA flats NEW DELHI. How do we fight this ? We do not have the resources to go to court. Any ways we shall be dead and gone with this before the courts decide to shut it down. I have lost faith in our institutions. If we have a solution I am willing to join in. Feel disheartened by the state of our country despite laws being clear about this.